Laurie Block (Producer, Director, Co-Scriptwriter) oversees program development for all Straight Ahead Pictures projects. Her work focuses on how questions about who is fit and who is not in American society are shaped by historical factors. Her film, FIT: Episodes in the History of the Body, an award-winning feature documentary, was broadcast nationally on PBS. Her four-hour NPR documentary series Beyond Affliction: The Disability History Project, produced with Jay Allison, was awarded the Robert F. Kennedy Social Justice Journalism Award. 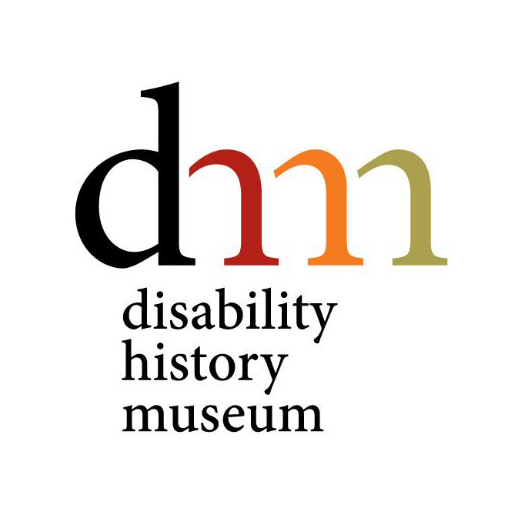 She directs The Disability History Museum. John Crowley (Co-Scriptwriter) is the author of a dozen novels, including the beloved fantasy Little, Big (1981), the four-volume Aegypt Cycle, The Translator and Four Freedoms, about a disabled man’s wartime job in a bomber plant. His long list of documentary writing credits include The World of Tomorrow (1939 World’s Fair, 1989), The Restless Conscience (Academy Award nomination, 1992); The Gate of Heavenly Peace (Tiananmen Square; 1995). He’s worked with Block on documentary projects since the 1980s, and he's also her husband and the father of their children. Michael Pressman (Director) born in 1950 into a theatrical family, has written, directed, and produced work in almost all media. His film Those Lips Those Eyes (1980), starring Frank Lagella has a cult following. In feature films he wrote and directed Frankie and Johnny are Married (2003), directed Teenage Mutant Ninja Turtles II (1991) and the rather different To Gillian on her 37th Birthday (1996). His extensive TV work includes Blue Bloods, Chicago Hope, the Emmy Award Winning series Picket Fences as Executive Producer, and the Hallmark Hall of Fame film of Ann Tyler's Saint Maybe. He’s directed at least 59 episodes of top TV series and many works for the stage, including the Broadway Revival of Come Back Little Sheba. Boyd Estus (Director of Photography) has extensive experience in the production of films dealing with history, music and science. An innovator in the development of “docu-drama” technique for compelling storytelling, Estus has made films for many celebrated television series on PBS. His recent projects include Edgar Allen Poe: Buried Alive, Louisa May Alcott: The Woman Behind Little Women, Woody Guthrie: I Ain’t Got No Home (American Masters), Murder at Harvard, and Houdini (American Experience) and Alex Gibney's The Last Gladiators. His films have been honored with the Academy Award and nominations, the Emmy Award and nominations, the Peabody Award and others. Carl Sprague (Art Direction) has worked on many films that have a combined total of 29 Oscar nominations, including Best Picture winner 12 Years a Slave. He has worked with Martin Scorsese (The Age of Innocence), Steven Spielberg (Amistad), and David Fincher (The Social Network). He’s worked with Wes Anderson on three of Anderson's best-loved films - The Grand Budapest Hotel, Moonrise Kingdom (2012), and The Royal Tenenbaums (2001), for which he was nominated for an Art Director's Guild Award. Not as well known is the exquisite puppet theater he’s built in his Berkshire backyard. Peter Nigrini (Projections) is a three-time Drama Desk Award winner for production design. Peter Nigrini has pioneered an innovative projection system that works with standard settings as well as on its own, heightening the theatrical effect – which is what the Helen Keller project asked him to do. His work was seen on Broadway in the celebrated Bill T. Jones production of Fela! (2009); 9 to 5 – The Musical (2009); An Act of God (2015). He worked with Julie Taymore in Grounded (2015), in Grace Jones: The Hurricane World Tour and in opera, dance, drama and musicals on stages from Beijing to London. Rob Issen (Post Production Editor) has extensive credits in a wide variety of formats including long-form documentary, entertainment, animation and short-form commercial productions. His work has appeared on PBS, ABC, NBC, CBS, HBO, Disney, Lifetime, Nickelodeon, MTV, Starz, The Cartoon Network, and Bravo. His professional acknowledgments include two Emmy awards and over two dozen ProMax and Broadcast Design Association awards. He is credited on feature films such as State and Main and Stranger Than Paradise and has contributed to numerous PBS documentaries including Fun City Revisited: The Lindsay Years, LBJ: The West, James Baldwin: The Price of the Ticket, and Paul Simon: Born at the Right Time. James Rutenbeck (Post Production Editor) is currently the Executive Producer of Class of '27, a series of three short films about the lives of young children in economically distressed parts of rural America. His editing credits include over fifty films for PBS, BBC, Channel Four (UK), Discovery Channel, and Showtime. This includes the 2008 ALMA award-winning Roberto Clemente, the Emmy award-winning Siamese Twins, and People of the Shining Path.